If you live in China, I bet this is nothing new to you. 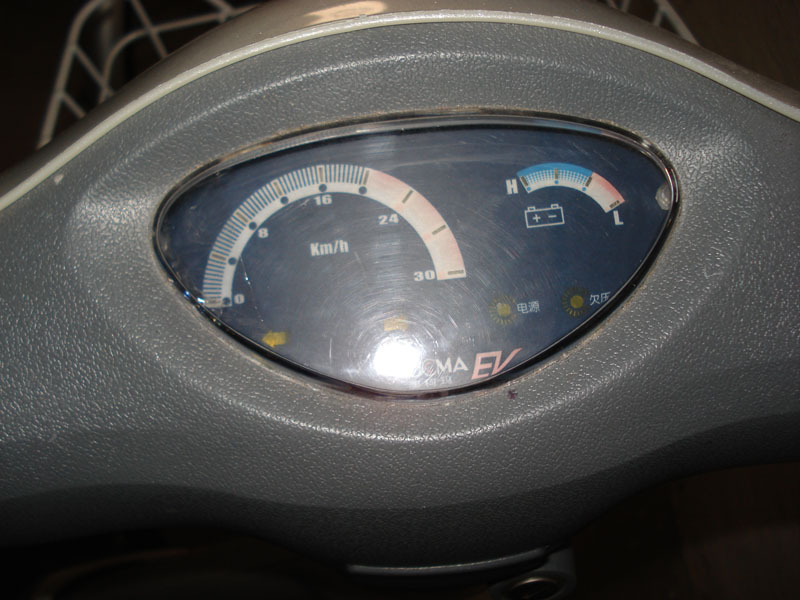 An electrical bicycle. Here in Denmark I have never heard of them, but it turns out one of C’s friends have one which she uses to go to language school sometimes. So I was a little surprised when I saw it. At first I wondered why C’s friend always said it was no problem going 2 x 8 km to school when it was windy. I know C is somewhat used after her trip, which is “only” 2 x 6 km. Turns out C’s friend had a bicycle with built-in cheat. It’s pretty cool. When you go downhill, it recharges the battery, and when you encounter hard wind or some uphill, it helps you. It’s a lazy persons bicycle. When the hills are steep she keeps a good pace and even overtakes the more skilled riders with all the right gear. No match for an electrical powered bicycle. It was brought here from China, when C’s friend had her stuff here. She had enough room for it, since she sent a whole container anyway! She brought all her fancy Chinese furniture, so what does a tiny electrical bicycle matter? 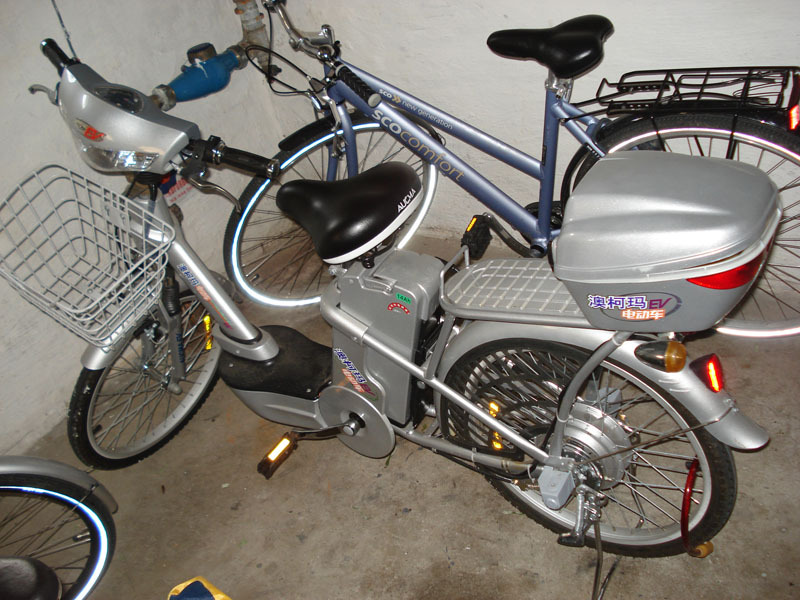 I am wondering how u took it to Denmark,it’s a little cumbersome.I think the electrical bicycle is good,not so expensive,and never generates contamination.it could be a lazy person bicycle.I dig it,but I don’t have one. Well, it’s safer to ride that in Denmark than in China. I’ve been tempted to buy the lazy bike but then I keep reminding myself that I’ll probably get hit by a car/bus/motorcycle/falling building. Tnx for dropping by Matt. Having seen the traffic in China, I wouldn’t be too happy to have one there either.